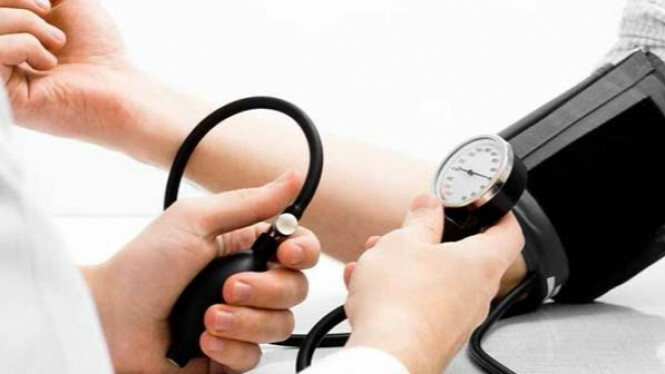 Home » Diseases » Health Questions » Health Tips » Is Low Blood Pressure Dangerous to Health? Is Low Blood Pressure Dangerous to Health? Is Low Blood Pressure Dangerous to Health? Blood pressure is a force released by the blood that suppresses the blood vessel wall. Blood pressure is one of the important signs of life or vital signs that also include heart rate, breathing rate, and body temperature. Blood pressure arising from the movement of the heart pumps blood into the arterial blood vessels followed by the response of these blood vessels in an effort to regulate blood flow. A person's blood pressure is expressed in systolic / diastolic blood pressure, for example 120/80. Systolic blood pressure describes the arterial pressure as the heart muscle contracts and pumps blood into the blood vessels. Diastolic blood pressure shows blood pressure in the arteries when the heart muscle relaxes (rest) after contracting. Systolic blood pressure is always higher than diastolic blood pressure. The range of systolic blood pressure in healthy adults lies between 90-120 mmHg. Normal diastolic blood pressure ranges from 60-80 mmHg. Current guidelines define normal blood pressure 120/80 or lower. Blood pressure above 130/80 is considered high. High blood pressure increases the risk of arterial blood vessel damage resulting in heart disease, kidney, hardening of the arteries (atherosclerosis or arteriosclerosis), eye disease, and stroke. Low blood pressure (hypotension) is a blood pressure that is too low to cause symptoms of disease because the blood flow is too slow. If the blood flow is too slow to deliver oxygen and nutrients to vital organs such as brain, heart, and kidneys, the organ will not function normally and may also be damaged, either temporarily or permanently. Unlike high blood pressure, low blood pressure is more diagnosed based on symptoms that arise and not based on blood pressure levels. Some people have 90/50 blood pressure without any symptoms so can not be said to suffer from low blood pressure. However, people who have high blood pressure may experience symptoms of low blood pressure if their blood pressure drops to 100/60. In pregnancy, blood pressure tends to fall. Normal blood pressure in pregnant women can be lower than 100/60. Blood pressure should always be monitored by health personnel during pregnancy. Is low blood pressure harmful to health? People who have low blood pressure have a smaller risk for stroke, kidney and heart disease. Athletes, people who exercise regularly, people who have an ideal weight, and people who do not smoke tend to have low blood pressure. Low blood pressure is good for health provided it is not too low to cause symptoms and damage organs. When blood pressure is insufficient to drain blood to the organs of the body, the organ can not work properly and may suffer both temporary and permanent damage. Symptoms of low blood pressure arise based on the specific cause of low blood pressure. For example, if the blood flowing to the brain is insufficient so that the brain cells do not get enough oxygen and nutrients, people will feel dizzy, or even faint immediately. Orthostatic hypotension: Moving from a sitting position or lying to a standing position often causes symptoms of low blood pressure. This happens because the standing position causes blood to collect in the veins of the veins in the lower body resulting in lower blood pressure. If someone already has low blood pressure, standing will make the person dizzy or even faint. This is called orthostatic hypotension. Normally, a person is able to adapt to changes in blood pressure at a rapidly changing position so as to cause no symptoms of orthostatic hypotension. Heart disease: Chest pain (angina) or even a heart attack can occur if blood flow to the coronary arteries is not enough. Kidney disease: If the blood flowing to the kidneys is not sufficient, the kidneys are not able to dispose of substances harmful to the body optimally so that levels of these substances in the blood increases and cause complications. Shock: That is a life-threatening condition where persistent low blood pressure results in the failure of organ functions such as kidneys, liver, lungs, and brain in no time. Circumstances that lower blood volume decrease cardiac output (the amount of blood pumped by the heart, and drugs are the cause of the common low blood pressure. Dehydration usually occurs in patients with nausea, vomiting, prolonged diarrhea, or excessive exercise that makes more blood flow to the muscles than to the vital organs. Many body fluids are lost when a person vomits and diarrhea, especially if the person does not drink in sufficient quantities. Dehydration can also occur due to fever or overheating. Moderate to severe dehydration may cause orthostatic hypotension. Severe dehydration for a long time may result in shock, renal failure, consciousness decline, acidosis (too much acid in the body), coma, and even death. Moderate to severe hemorrhage can lower blood volume in the body quickly, resulting in low blood pressure or orthostatic hypotension. Bleeding can occur due to accidents, surgical complications, or indigestion such as gastric ulcer, tumor, or diverticulosis. Severe heavy bleeding can cause shock and death. Severe inflammation of organs in the body, such as acute pancreatitis, can cause low blood pressure. In acute pancreatitis, fluid passes from the blood vessels to the inflamed tissue so that the blood in the blood vessels becomes more concentrated and the volume decreases. In addition to the reduced volume of blood in the blood vessels, low blood pressure can also be caused by the following things. Heart disease, such as weak heart muscle, pericarditis (inflammation of the heart lining), pulmonary embolism (blockage in the pulmonary vein), and bradycardia (heart rate is too slow). Drugs, such as anti-hypertensive drugs, diuretics, antidepressants, alcohols, and narcotics. Vasovagal reflexes are usually caused by emotional distress. Adrenal insufficiency, for example in Addison's disease. Septicemia, a severe infection in which bacteria manage to enter the bloodstream. Anaphylactic shock, an allergic reaction that is life-threatening. How to deal with low blood pressure? Low blood pressure in healthy individuals with no symptoms or signs of organ damage does not require any treatment. Anyone experiencing symptoms or complications from low blood pressure should get physician care. The doctor will find out the cause of low blood pressure and provide appropriate treatment. If low blood pressure occurs due to regular consumption of antihypertensive drugs, consult a physician immediately. Do not stop or self-administer the dose of antihypertensive medication that is being drunk without consultation with your doctor. Copyright © Healthy Lifestyles - Let's Start Living A Healthy Life From Now On!